“I want as many blind and visually impaired people as possible to be able to say that they’ve achieved what they wanted to achieve, and not feel like their disability held them back in any way. We have to allow everyone, regardless of their situation to fulfil their own potential. 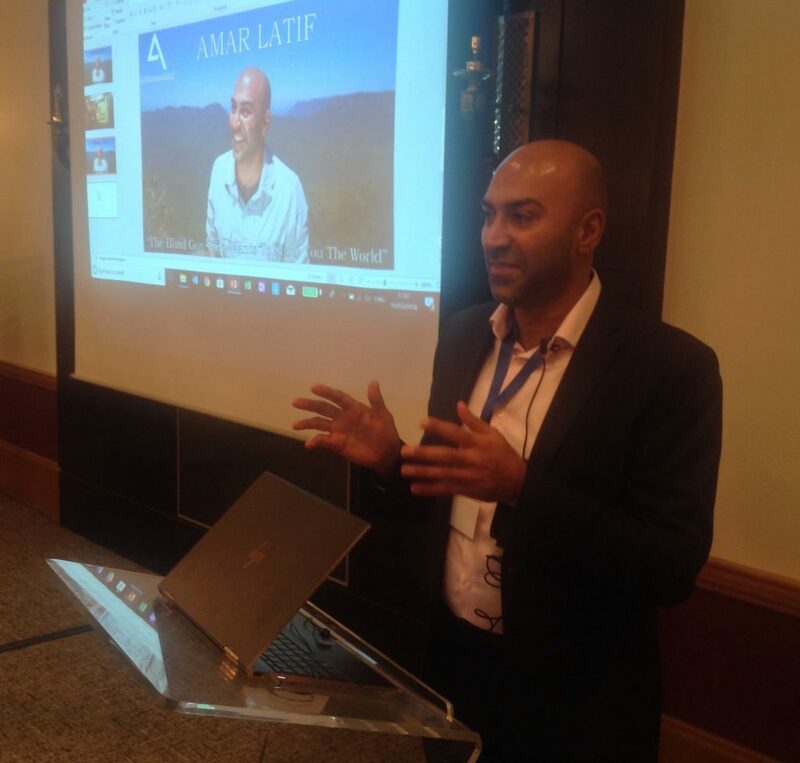 We’re thrilled to announce that Amar Latif, who spoke at our 2018 conference, has become VIEW’s ambassador, supporting VIEW and our members in our work representing the interests and needs of children and young people with vision impairment to help them to fulfil their potential. Amar is a blind traveller, entrepreneur and TV personality with an astonishing track record of facing up to major challenges. Through sheer determination he has managed to turn an unpromising tale of inherited disability and loss into one of truly inspirational achievement. Amar also works with schools around the world taking students on a wide range of travel adventures whilst having them describe the sights to other blind travellers. By broadening the mindset of young people today, Amar hopes to create a more accessible world for those with vision impairment in the future.